In every zone you will be immersed in a new theme that will extend through every touch-point. Themed attractions, area design, landscaping, themed dining and retail, ambient music, character design, building facades, props, interactive installations, and merchandise. All these are not just elements, but instill a feeling of escapism in the park. This escapism is what will separate Adlabs Imagica from all other parks in India, making it at par with the best theme parks around the world. Imagica is a place where you can live out your wildest adventures and be thrilled by the world’s most amazing rides; from roller coasters in deep space, to spine tingling journeys through the ravines of the Wild West. There’s something here for every family – a new experience at every step, and a thousand ways to have fun. With 21 attractions & rides and 5 themed restaurants, Imagica is a place where stories come alive. 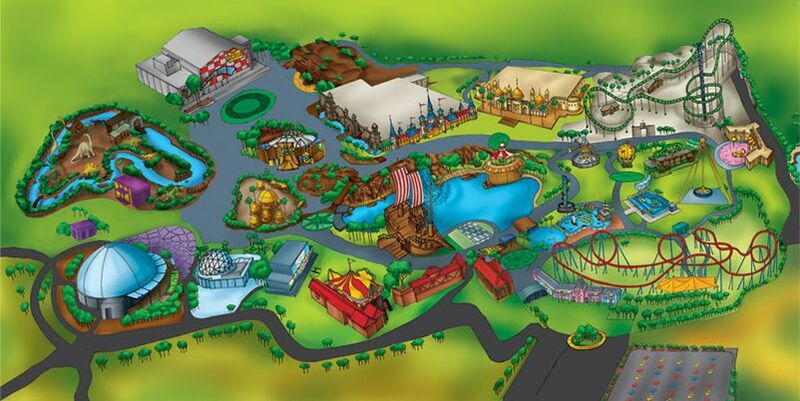 Adlabs Imagica is now poised to be India’s first theme park destination, offering entertainment, fun, action, relaxation, dining, shopping and accommodation at a single location.